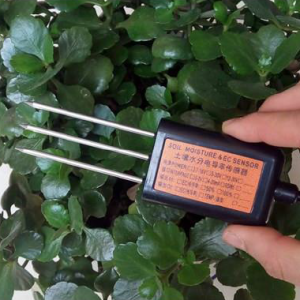 We designed the SETM08 soil sensor to measure the water content, electrical conductivity, and temperature of soil. 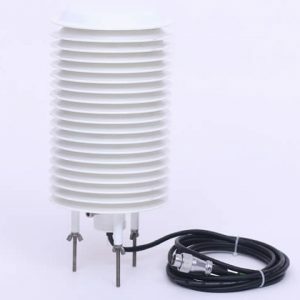 The SETM08 soil sensor uses an oscillator running at 70 MHz to measure the dielectric permittivity of soil to determine the water content. 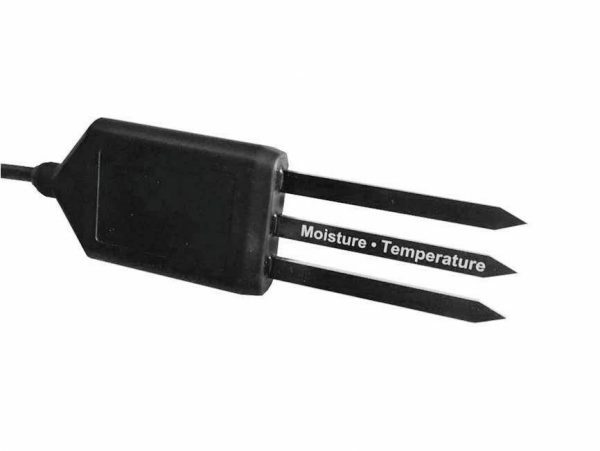 A thermistor in thermal contact with the sensor prongs provides the soil temperature. 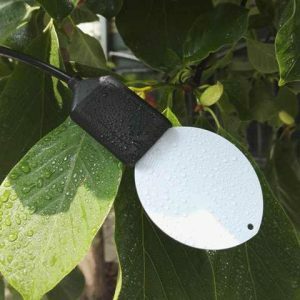 The Polyurethane coating on the SETM08 soil sensor circuit board protects the components from water damage and gives the sensor a longer lifespan. 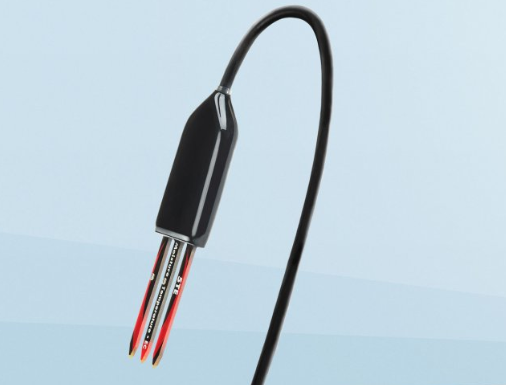 Cable Length: 5 m standard; Maximum 75 m. Please contact if you need longer cable lengths.